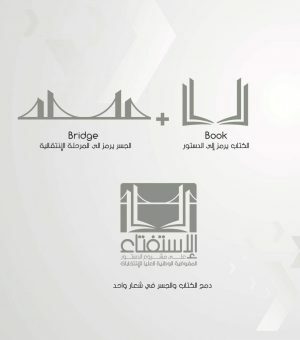 HNEC today launched the official logo for the referendum campaign on Libya’s draft permanent constitution (Logo: HNEC). The constitution Referendum Law was approved on 26 November by the HoR after the HoR had passed the tenth constitutional amendment to “fortify the law” so that it “did not violate the (temporary) Constitutional Declaration (of 2011). With this move, the HoR had ended its constitutional duty, as set out in the 2011 Transitional Constitutional Declaration (and as amended in 2014). The amended Transitional Constitutional Declaration, it will be recalled, is still Libya’s operating temporary constitution which gave birth to the HoR and set it specific short term tasks. These were to pass a Referendum Law for the Permanent Constitution, pass that constitution if approved by the general public in the referendum, and prepare the country for elections based on that permanent constituion. Those elections would lead to a fully empowered government that would finally take Libya out of its political transitional stage that started in 2011 with the ending of the Qaddafi regime. It will be recalled that there still persists doubt by some HoR members, analysts and commentators as to the legal strength of the Referendum Law and the Constitutional Amendment that empowers it. The most cynical of political commentators go as far as to suggest that the HoR has set the process up to fail. They suggest that the HoR has intentionally passed a Referendum Law and Constitutional Amendment that would be challenged at the courts, thereby aborting the whole process. This criticism, which is not without foundation, falls within the overall narrative that the incumbent Libyan political powers wish to extend their stay in power by ensuring a continuation of the status quo and delaying any possible elections that would end their tenure. Indeed, during his 8 November 2018 Libya brief to the UN Security Council, SRSG and UNSMIL head, Ghassan Salame, accused both the HoR and High State Council (HSC) of delaying elections. He called the HoR sterile and accused it of wasting time and failing to ùphold its constitutional responsibilities. Nevertheless, on 6 December HNEC announced that it had commenced the process of holding the referendum. It had said that preparations could take up to the middle of January and that the referendum could take place by the end of February. HNEC conceded that the 45-article Referendum Law (Law No.6) was not perfect, but had explained that article 43 allows HNEC to consolidate the law through the law’s implementation regulations and that the law gives the judiciary a major role to play. HNEC had set four preconditions for holding this referendum: political agreement; a referendum law; financial backing and security. HNEC had revealed that it was in debt by half a million dinars and was awaiting its 2018 Q4 LD 800,000 allocation. It had requested LD 40 million from the Faiez Serraj Presidency Council and Government of National Accord, explaining that a “no” result in the referendum would require the use of a large number of staff and that there will be 2,000 polling stations used – up from the 1,500 used in previous elections. HNEC said that it would need security guarantees across the country for locations, polling stations and staff, esoecially in view of the fatal terror attack on HNEC’s headquarters last May. On the timing of the referendum, HNEC had said that if most of these conditions are met by the middle of January, it would, in discussion with the HoR, announce a late February date for holding the referendum. HNEC hoped that “if” the majority of the Libyan public reject the constitution that it is an informed decision and that they are clear on the precise articles of the constituion that they oppose. It had said that voter registration would be opened in mid-January for a short two-week period in order to top-up the voter register since it was last opened.